Today, we are going to check out 16 of the newest features in Android Nougat that you should know about. Google has published the official name as the “Nougat” for the latest release of Android. Nougats are a series confections made using sugar, honey, roasted nuts and chopped candied fruits. There were many predictions regarding the name of new android firmware version. Millions of people thought that it will be “Android Nutella”. But the Google has confirmed the official name as “Android Nougat”. 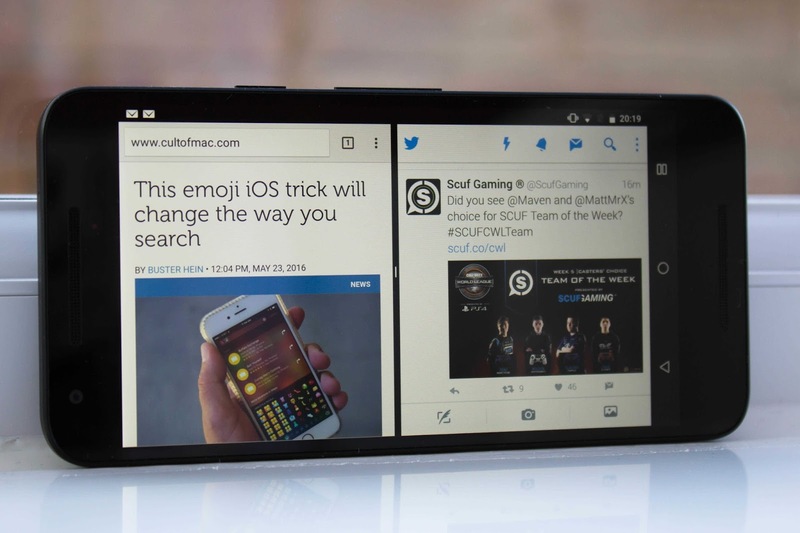 Possibly the biggest new feature in Android Nougat is a multi-window mode. While you're using an app, just long-press the recent apps button, then you'll be prompted to select another app. Once you do that, both apps will be visible side by side, with a black bar in the middle that you can drag to resize the windows. It makes for a great experience when browsing the web while watching videos, and it turns Android into a true multitasking platform. 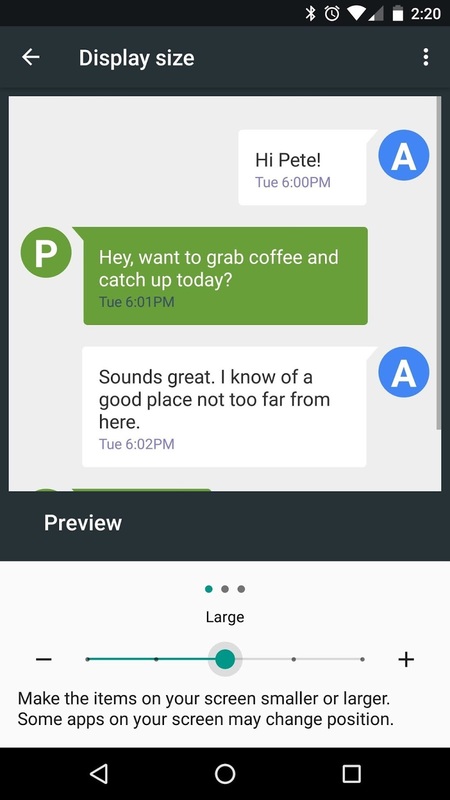 To make the multi-window experience even better, Google has included support for dragging and dropping files or text in Android Nougat. 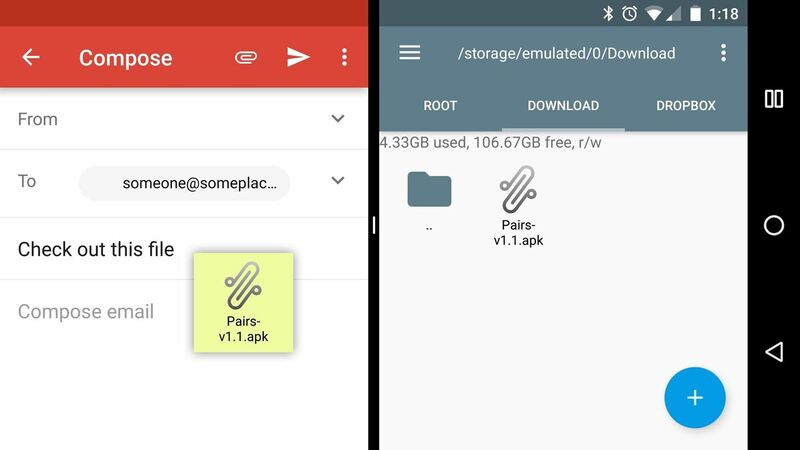 Developers will have to update their apps to offer support for this new feature, but some, like Gmail, have already added it. Nougat has several multitasking improvements, but this one might be the most practical of them all. When you want to switch back to the last app you were using, just double-tap your recent apps button. It works a lot like the Alt-Tab feature in Windows (or Command-Tab on a Mac), so you can keep double-tapping to flip back and forth between your two most recently-used apps. With all of the attention given to the recent apps button, you might think the menu itself was overlooked. 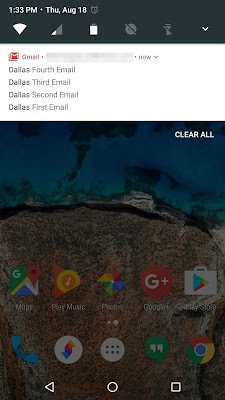 But in addition to an updated interface with bigger preview cards, Google added a "Clear All" button to the top of this list. You have to scroll all the way up to the top of your recent apps list to see it, but this should help a lot if you like to keep things tidy. A new feature called "Bundled Notifications" should make it a lot easier to deal with multiple emails or text messages in Nougat. 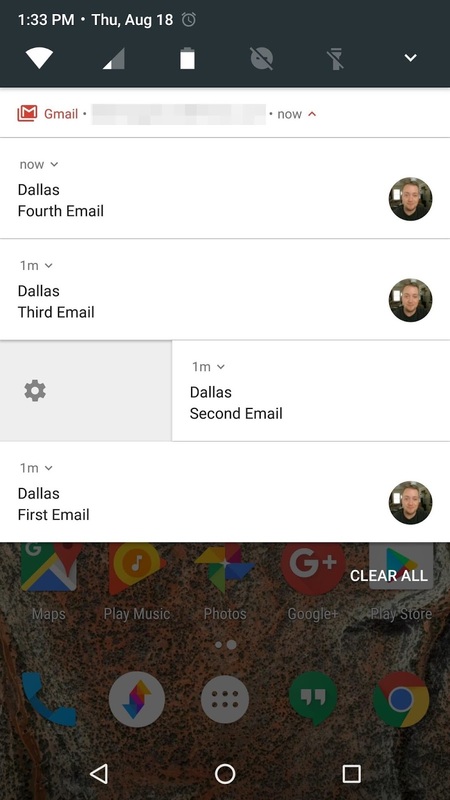 Like previous versions, notifications from the same app will be grouped together in your notification tray, where you can dismiss them all as one. 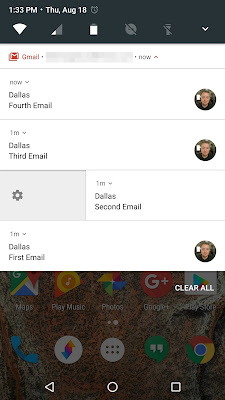 But if you only want to dismiss one email, for example, you can now swipe down on the grouped notification to expand them, where you can then dismiss them one by one. Nougat's new "Direct Reply" feature should save you lots of time when messaging or responding to emails. As soon as a new message arrives, you'll see a "Reply" button directly on the notification—just tap this, then start typing to respond. Some apps have had this capability in the past, but biggest difference here is that Nougat provides a unified interface that all apps can use. Marshmallow implemented granular controls for notification importance, but Nougat is taking this concept to the next level. 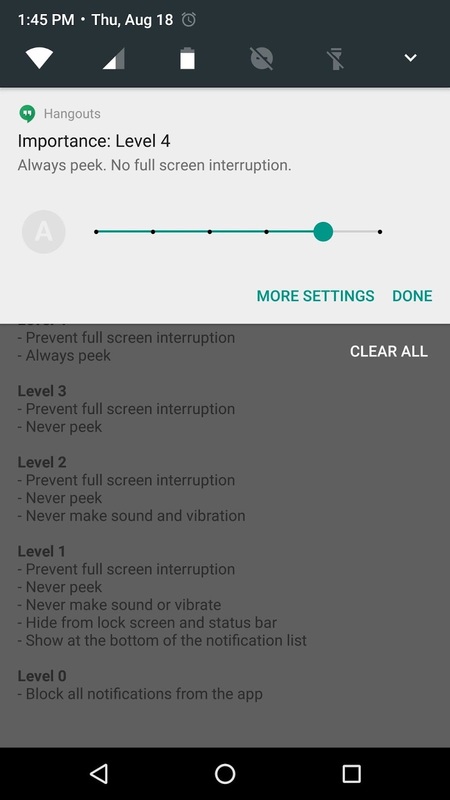 Notifications can now be set to different importance levels, meaning you can set one app to never cause your phone to beep, while setting the next app to have full "heads up"-style notifications. 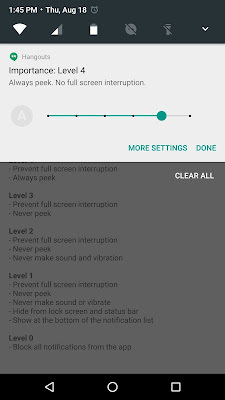 You have to enable the System UI Tuner, then turn on "Power notification controls" to get these newer options, but it offers a lot more control. To access this new menu, simply long-press any notification. 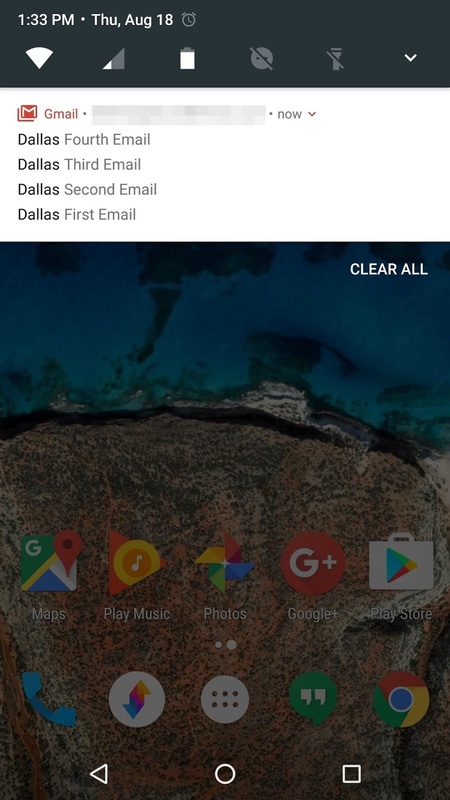 Samsung's TouchWiz and other manufacturer-skinned versions of Android will show you a small collection of toggles when you swipe down to view your notifications, but stock Android has always required that you swipe down twice to access these "Quick Settings." That's changing with Nougat, and now, the top 5 toggles will be visible directly from your notification tray. You can still swipe down a second time to see the full suite of toggles (and even edit or rearrange the tiles), but having quicker access to common functions makes this menu a lot more useful. 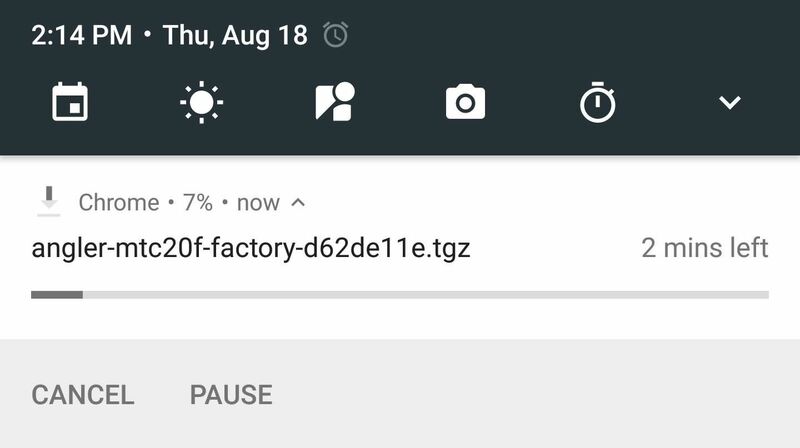 Android Marshmallow introduced a feature that allowed you to create your own Quick Settings tiles and toggles, but it was buried pretty deep in Settings, and the setup process was fairly complicated. With Nougat, this feature has been vastly improved, and now it's ready for prime time. 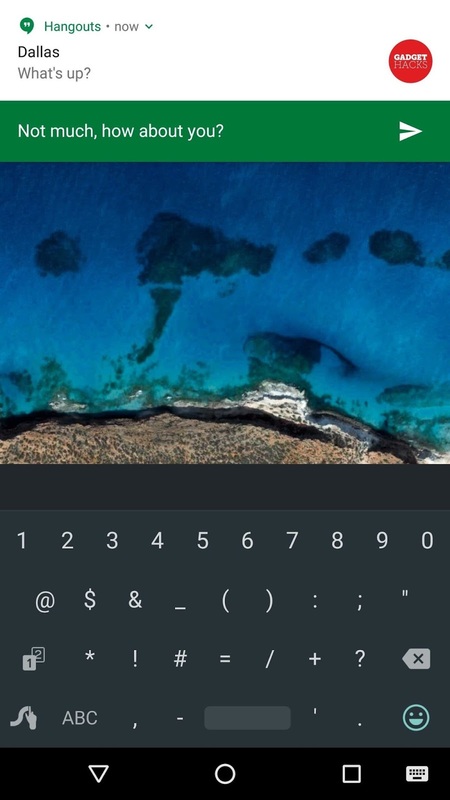 You simply install any compatible app to add the tiles, then tap the "Edit" button at the bottom of the Quick Settings menu, which lets you move your custom tiles to the top of the list. Another Nougat feature that previously existed in manufacturer-skinned versions of Android is the ability to set one wallpaper for your home screen, then have a separate wallpaper just for your lock screen. There's no Settings menu for this, but you'll be prompted to choose when applying a new photo as your home screen wallpaper. 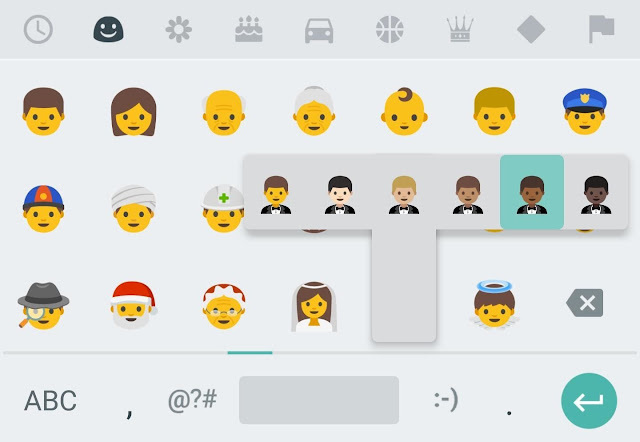 Android has typically lagged behind iOS when it comes to staying up-to-date on the latest emoji, but that's changing with Nougat. The month-long window between Nougat's release and the debut of iOS 10 will mark the first time that Android devices have newer emoji than their iPhone counterparts, as Android 7.0 is using the latest Unicode 9.0 standard. Android has had a "Data saver" mode for a few versions now, but Nougat makes this feature far more intelligent. When the feature is enabled in Settings, your phone will detect the type of cellular plan being used, and whether or not you're roaming. If you're on a plan with limited data, it will automatically restrict the amount of data that apps can use in the background, which should hopefully save a few megabytes each month. It's the little finishing touches that make Android Nougat one of Google's best releases yet. 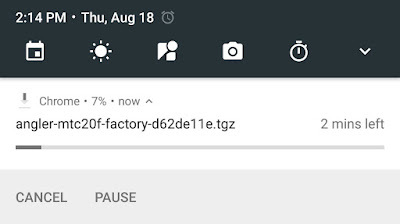 For instance, you'll no longer have to open the Downloads app to cancel an ongoing download—instead, there are now "Pause" and "Cancel" buttons directly on the download notification. Android 7.0 will be using a new "Just in Time" compiler to prepare apps and their files upon installation. Dry, technical stuff to the side, this ultimately means that bigger apps like Facebook and graphics-intensive games will now install up to three times faster. Less time waiting on apps to install, and more time actually enjoying them—what's not to love about that? 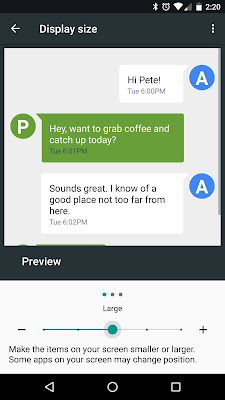 Android screens keep getting bigger every year, and it seems as though all of the icons and fonts are doing the same. If you felt that on-screen elements were too big in the past, you would previously have to root your device and install a DPI-changing app to shrink things down. But with Nougat, you can now just head to the Display menu in Settings, then select the "Display size" option to scale everything up or down by a few notches. 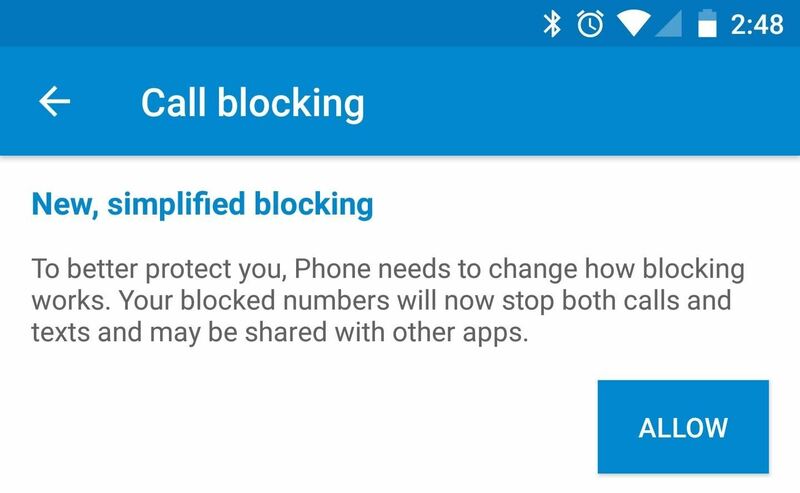 The Google Phone app introduced a call-blocking feature last year, and now Android Nougat is taking this functionality to the next level. Instead of just blocking calls, you can block a number from communicating with you altogether—even through third-party SMS apps. 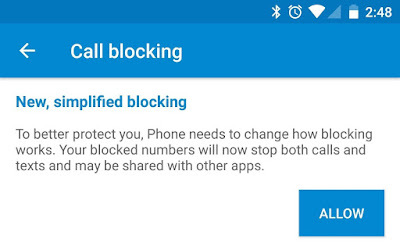 When you enable call blocking in your default dialer, you'll be prompted to turn on the new feature. Third-party developers will have to update their apps for compatibility, but a system-wide phone number blocker is a welcome addition. Published at DZone with permission of Adam Smith . See the original article here.